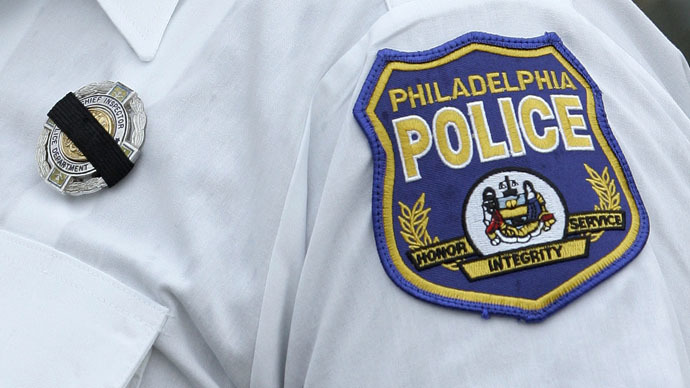 Poor training led Philadelphia police officers to the mistaken belief that fearing for their lives alone justified the use of deadly force, a new Justice Department review has found. That fear resulted in 394 shootings over a seven-year period. The 'Assessment of Deadly Force in the Philadelphia Police Department,' released Monday, came with 48 findings and 91 recommendations by the Justice Department. It found that 81 percent of the victims of officer-involved shootings were African-American men in their twenties; 59 percent of the shootings were carried out by white officers; and most shootings occurred in majority black neighborhoods. Those neighborhoods in northern Philadelphia were also police districts with the highest patterns of gun violence and homicides. According to the 2010 US Census, Philadelphia is 43.3 percent black, 41 percent white and 12.3 percent Latino, but officer-involved shootings were overwhelmingly concentrated in black communities. Only eight percent of shootings involved whites and nine percent involved Latinos – a stark contrast to the 81 percent that encompassed African-Americans. “Police use of deadly force is one of the defining issues of our criminal justice system. It is the most serious action a police officer can take. The issue facing the Philadelphia Police Department was an increase of use of force and a fractured relationship with community stakeholders,” Ronald L. Davis, director of the Office of Community Oriented Policing Services, a division of the Justice Department, said in a statement. The report said suspects were unarmed 15 percent of the time in officer-involved shootings and had a firearm in 56 percent of the cases. Nine percent involved a vehicle, and another eight percent involved a sharp object. It argued that police shootings occurred due to threat perception failures and physical altercations. “Threat perception failures occurs when the officer(s) perceives a suspect as being armed due to the misidentification of a nonthreatening object (e.g. a cell phone) or movement (e.g. tugging at the waistband). This was the case in 49 percent of unarmed incidents,” reads the report. The review also examined whether the race of the officer altered threat perception, and found that police officers mistakenly perceived blacks as a threat at more than twice the rate of whites, contributing to community distrust. “These racial disparities have created a deep mistrust for law enforcement in communities of color,” Reggie Shuford, executive director of Pennsylvania American Civil Liberties Union chapter, told AP. The assessment was requested by Police Commissioner Ramsey in 2013 after four straight days of police-involved shootings, three of which were fatal. The review lasted a year and involved site visits, 64 interviews, joining foot patrol beats, examining documents and training methods, and attendance of use of force review board hearings of 20 officer-involved incidents. The report found that police officers do not receive regular, consistent training on the department’s deadly force policy, and police training on firearms is not systematic. “Some recruit classes receive firearms training close to the end of the academy, whereas others receive it early on,” it reads. The report recommends police officers receive more reality-based training, including de-escalation techniques. The Department of Justice will help implement the recommendations over the next 18 months and issue two progress reports. The report was issued a few days after the city’s district attorney declined to charge officers in a police- involved shooting from December, which took the life of African-American Brandon Tate-Brown, 26. His mother, Tanya Brown-Dickerson called out the police commissioner over the death of her son.